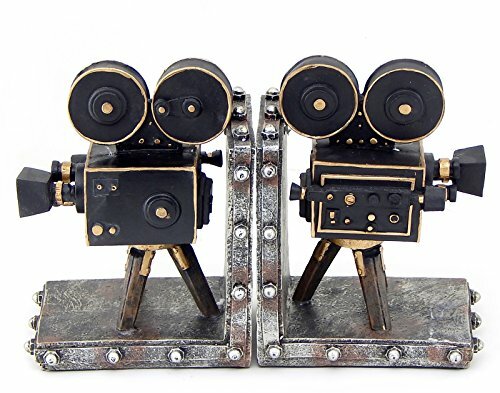 This unique set of vintage style film camera bookends would look right at home displayed in your living room, studio, home or office. Made of cold cast resin, each bookend measures 7 inches high, 5 1/4 inches long and 4 1/4 inches wide. The cameras are highly detailed and are hand-painted. They have padded foam feet on the bottoms to keep your furniture scratch free This set of 2 bookends makes the perfect gift for video enthusiasts. Antique bronze finish bookends set of 2 - designer resin 7"
Museum Quality Liabrary bookends for Book sefls and Study room or for Decoration. Great utility and decor item for any library or bookcase - only bookends no books please.